What is the number system of quantum mechanics? Observables are Hermitean operators. In matrix notation this means that an observable is the same as its transpose and complex conjugate. The natural question to ask is: what mathematical properties can be derived from this observation. Can observables be combined to create other observables? Do observables form an algebra for example? Then we have what it is called: a “real Jordan algebra”. Now in quantum mechanics the states are defined only up to a phase because the Born rule: p_A(Psi) = |<Psi| A | Psi>|^2 ignores the phase which is an unobservable quantity. So if a Hilbert space is about orthogonality, the physical states correspond to rays in a Hilbert space. This means that we are looking at projective spaces. Albert octonionic algebra with dimension 27 corresponding to OP^2 – octonionic projective space in 2 dimensions. If you compare the dimensionality of the projective spaces above with the number of linear independent projectors from the prior posts you’ll see that they are the same (and for very good reason). From the Jordan algebra point of view one can see that a quaternionic quantum mechanics is in principle possible, but what does it mean and what it is gained by that? By a mathematical theorem, the properties above restrict the number system for quantum mechanics to be: reals, complex numbers, quaternions, and octonions). In later posts we shall see that this is not the complete classification and there are many more number systems possible. But if quantions are non-commutative, we must be very careful about the order of terms. In particular there are distinct left and right eigenvalue problems!!! So why bother with this order hassle which is non existent for complex quantum mechanics? Because it may provide new physics, new insight, and it may lead to unification in terms of fundamental forces and/or relativity. 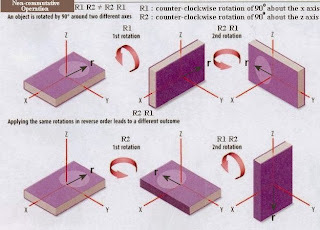 For example, rotation in 3D correspond to SO(3) which is isomorphic with SU(2) (the dimensionality of SU(2) = 2^2 -1 = 3 = dimensionality of SO(3)) and the unit rays in the quaternionic Hilbert space are defined up to an internal degree of freedom of SU(2). And SU(2) is the gauge group of the weak force so we may naturally understand the weak force in this formalism. It turns out that quaternionic quantum mechanics does not make any new predictions which are different than the predictions of complex quantum mechanics, but quaternionic quantum mechanics is a constrained complex quantum mechanics. Observables are maps which transform a wavefunction in another wavefunction. By Riesz representation theorem on Hilbert spaces, observables can transform two wavefunctions into real number (this is because of Born rule). As operator algebra, the observables obey a Poisson bracket algebra isomorphic with a commutator algebra. In this classical mechanics picture, to quantify and arrive at quantum mechanics we need to impose a constraint to preserve hermiticity. The constraint is: observables must commute with the imaginary number. Complex quantum mechanics is classical mechanics on CP^n formulated as a constrained Hamiltonian system on C^n. The imaginary unit realizes another observables duality called the dynamic correspondence which maps observables to generators, or the map between a Jordan algebra to a Lie algebra. The sign choice depends whether the spin is integer (bosons) or half-integer (fermions). This defines the algebra of quaternions!!! Quaternionic quantum mechanics is the quantum mechanics of fermions!!! Now it is clear why there is no tensor product in quaternionic quantum mechanics: two fermions cannot be understood as another fermion! Next time I’ll discuss another quantum mechanics number system called “quantionic quantum mechanics” which unifies quantum mechanics and relativity!!! Hardy’s 5 reasonable axioms paper was generalized by Jochen Rau using dimensional analysis. To understand it we need to start with a mathematical detour. In the 1500s, it was fashionable to hold contests of solving polynomial equations and this triggered the interest into finding general solutions. Tartaglia found the solution for cubic equations, and Ferrari discovered the solution for the quartic equation. Since no general solution was found for the quintic equation, proving the impossibility for degree five and above became a research topic. The solution was found by Galois and the key was in the permutation of solutions. This lead to what is now called the Galois group. This marriage between group theory and algebraic equations led Sophus Lie (by the way he was Norwegian not Chinese) to wonder if something similar would hold for continuous groups and differential equations. This idea was the starting point of the Lie groups which are continuous groups. 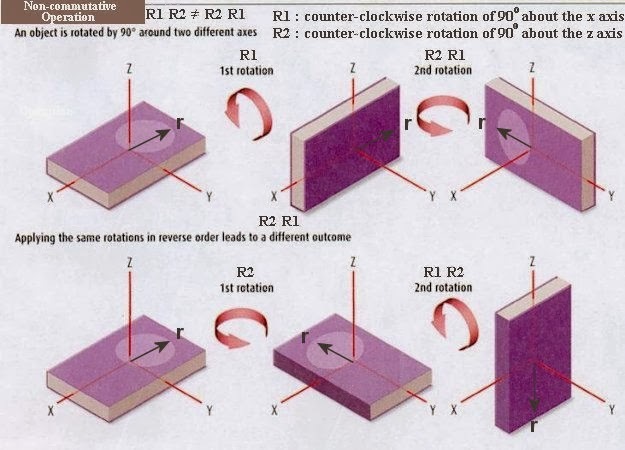 As an example, the group of rotations in the ordinary three dimensional space is a Lie group. What is important is that each of this series has a definite dimension. As a useful side note, the tangent space at the origin of any Lie group forms a Lie algebra and this plays a major role in quantum mechanics. Fast forward to present day, Jochen Rau considered the following problem: why is a Lorentzian manifold distinguished from all other event manifolds http://arxiv.org/pdf/1009.5523.pdf ? The solution combines physical principles with the mathematical fact of Lie group dimensionality. The answer is yes and it resulted into a paper called “Consistent reasoning about a continuum of hypotheses on the basis of finite evidence” . While the paper title does not do justice to its content, the result is very important and it represents a generalization of Hardy’s 5 reasonable axiom result. In particular it clarifies what happens when r>2 for Hardy’s K=N^r equation discussed in the prior post. When r=3 and above, probabilities are no longer continuous. What does this mean? What are the “c” terms corresponding to? The “c” terms correspond to new physics, must involve 3 wavefunctions |m>, |n>, |p> which combines in such a way that it is not a superposition and the probabilities are not continuous according to Rau’s result. Do we know such an object? Yes we do, they are Feynman diagrams!!! And the higher order terms correspond to Feynman interactions where 4, 5, 6, n legs joined in one vertex. For each leg, there is a discontinuity at the vertex, and the legs do not enter into a superposition. Now the question becomes: can we find a sequence of numbers a,b,c,d,… such that K = N^r with r>2? For now the answer is no, but the problem is still open. Next time I will start talking about quaternionic quantum mechanics and the meaning of its lack of a tensor product. I will now start a new series about the number system of quantum mechanics. There are only 4 possible division number systems: real numbers, complex numbers, quaternions, and octonions. Since there is a deep connection between them, projective geometry, and Jordan algebras (an excellent reference is Baez’s Octonions paper), it is expected that quantum mechanics can be formulated in Hilbert spaces over those number systems. Also we may ask if there are other possible number systems for quantum mechanics (and the surprising answer as we will show in this series is yes). From the start one can eliminate the octonions because they lack associativity and the tensor product is associative http://arxiv.org/abs/1303.3935. As division number systems, there is a mathematical progression called the Cayley-Dickson construction which builds complex numbers out of real numbers, quaternions out of complex numbers and so on, and at each step the resulting number system loses some property. That is why anything beyond quaternions is not interesting for quantum mechanics. If we demand the possibility of the tensor product, then we are left only with complex numbers, as a nice argument by Lucien Hardy shows it in http://arxiv.org/abs/quant-ph/0101012 . Hardy’s argument is instrumentalist, but at core this result stems from dimensional analysis for Lie groups as Jochen Rau showed in http://arxiv.org/pdf/0706.2274v1.pdf. r=1 corresponds to classical mechanics, and r=2 corresponds to quantum mechanics over complex numbers. r>1 means that the whole system A+B has more information than each of its parts, and this is a characteristic of quantum mechanics and its peculiar correlations which go above the Bell local realism limit. The “a” terms correspond to a local realistic interpretation of the wavefunction, the “b” terms correspond to the new physics of quantum superposition and the higher terms correspond to r > 2 theories where more than two wavefunctions can be combined in such a way that they produce new physics beyond superposition (I’ll present a possible interpretation in subsequent posts). The reason for the two ½ N(N-1) terms in complex quantum mechanics is the fact that complex numbers can be understood as a pair of real numbers. So what can we say about real or quaternionic quantum mechanics? Real and quaternionic quantum mechanics lacks the ability to form tensor products and we’ll later explain why this is so. For now I only want to point out that the failure to satisfy K = K_a K_b implies the failure to satisfy De Finetti theorem which relates to quantum state tomography http://arxiv.org/abs/quant-ph/0104088. We have reached the end of this series of how we should understand the quantum mechanics’ wavefunction: ontological or epistemological in the standard sense. The short answer is that it is neither. The long answer is that a new interpretation is emerging from the project of recovering quantum mechanics from natural axioms http://arxiv.org/abs/1303.3935. Wikipedia presents the table of comparison between existing interpretations. Before showing how the new interpretations measures up in that table I need to state that the answers are not unique, but they depend on the context. For example: Is quantum mechanics deterministic? In quantum mechanics evolution is pure unitary including during the apparent collapse http://arxiv.org/abs/1305.3594 so in the elliptic composability context, the answer is yes. As a reminder, composability means that the laws of nature are invariant under tensor composition, and elliptic composability is one of the three possible composability classes: elliptic (quantum mechanics), parabolic (classical mechanics) and hyperbolic (not present in nature). However, in the usual sense of looking at predicting concrete experimental outcomes, quantum mechanics is not deterministic. Yes, the wavefunction is elliptic-ontic: it has a similar reality with for example the electromagnetic field with the core difference that the wavefunction exists in a configuration space. 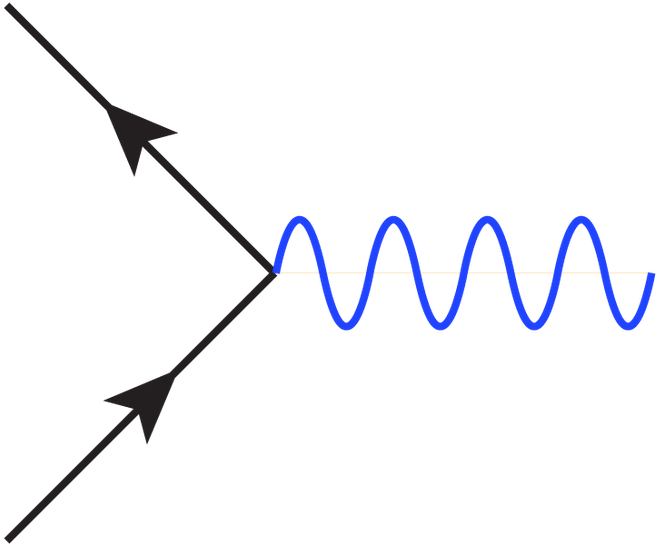 No in the sense of Heisenberg: the wavefunction represents a probability, but not an objective reality itself in space and time. Yes in a new sense: we can speak about observable algebras before measurement. We still cannot speak about results of measurements that have not been performed. then one can show using GNS construction that T is an operator in a Hilbert space H.
It is an elementary exercise to show the reverse implication, but constructing a Hilbert space from the C* condition is a nontrivial and was first shown by Gelfand in 1942. Now what struck me the most from that paper is that it is signed: “Moscow 1942”. In 1942, Nazi troops were about 20 miles away from Moscow ready to burn down the city (before the winter weather stopped their advance), and instead of packing up and leaving for safety, Gelfand was making fundamental contributions to functional algebra. Remarkable. There is a big subtlety relating to Hilbert spaces in quantum mechanics. There are actually two Hilbert spaces and they are linked through the Choi-Jamiolkowski isomorphism, or the channel-state duality http://en.wikipedia.org/wiki/Channel-state_duality. Naively this come from identifying: |psi><phi| with <phi|psi> but they are very different beasts with different norms. T belongs to a Hilbert space of its own with the inner product given by Trace(A^dagger B) where A and B are observables. T is also an operator on the usual Hilbert space H of the wavefunction. In the information theoretical approaches for deriving quantum mechanics one starts from the states and the experimental procedures one can do in the lab in an instrumentalist fashion (see for example Hardy’s famous 5 reasonable axioms paper http://arxiv.org/abs/quant-ph/0101012). The aim of composability approach and interpretation is much larger however. No concepts should be assumed from the real world, and everything should be fully derived mathematically in a very rigorous fashion. One subtle point is that the actual representation of the wavefunction’s abstract Hilbert space does not have any ontological interpretation. The same abstract Hilbert space can be represented by very different mathematical constructs which cannot be put into any isomorphism. The case in point is the Dirac delta function which is a distribution and not a proper function. As a function it has contradictory properties and to properly understand it, knowledge of spectral theory is required. The wavefunction is simply a mathematical non-contextual (i.e universal) tool of computing probabilities. What have ontological value are the operators and they correspond to actual experimental procedures in a lab. Through channel-state duality the wavefunction indirectly acquires (elliptical) ontological value too. This is the sense that the wavefunction can be called elliptic-ontic. For a one particle wavefunction (when the configuration space becomes the space-time), the fact that the wavefunction is defined up to a phase in a particular case can be understood as a gauge degree of freedom corresponding to U(1). 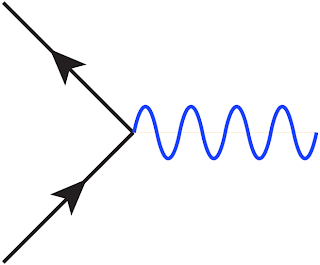 The wavefunction in this case has the same ontological value as the electromagnetic field. Now this may sound too good to be true, but it is natural in the context of C* modules (the natural generalization of C* algebras). In C* modules, the quantum mechanics number system are no longer complex numbers but C* algebras. Also the typical Hilbert C* module corresponds to vector bundles and the gauge group corresponds to the connection on the bundle. Expanding on this, in one case the Born's interpretation can be upgraded from probability density to probability current density and naturally arrive at Dirac's equation and the electroweak gauge symmetry SU(2)xU(1). This justifies the minimal coupling. The mathematical framework for this generalization is that of a spectral triple in non-commutative geometry. Classifying all possible realizations of the elliptic composability is a work in progress. Looks like nature picked one particular realization which gives rise to the Standard Model. Why this particular realization was picked cannot be answered in the composability framework and additional ideas are needed.